The list compiled by the Texas secretary of state contains 95,000 names. It’s unclear exactly how many of those individuals are not actually U.S. citizens and whether that number will be available in the future. 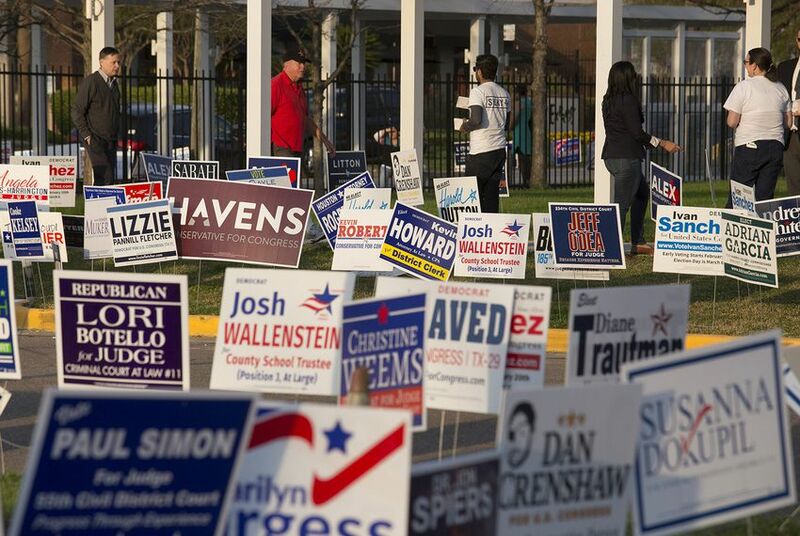 The Texas secretary of state's office announced Friday it would send local election officials a list of 95,000 registered voters whom the state says counties should consider checking to see whether they are U.S. citizens and, therefore, legally eligible to vote. It's possible that individuals flagged by the state — who provided DPS with documentation that indicated they were authorized to be in the country — could have become naturalized citizens since they obtained their driver's licenses or ID cards. A spokesman for the secretary of state said officials are "very confident" that the data received from DPS is "current." The numbers were released just a few weeks into a legislative session during which lawmakers may take up proposals to require some form of citizenship verification before a person registers to vote. The U.S. Supreme Court in 2013 rejected states' efforts to require proof of citizenship to register to vote. Other federal courts have knocked down more recent efforts. "The secretary’s actions threaten to result in tens of thousands of eligible voters being removed from the rolls, including those with the least resources to comply with the demand to show papers," Stevens said. In a state where about 15.8 million Texans are registered to vote, the attorney general’s office has recently pursued a small number of convictions of illegal voting by noncitizens. Past reviews of the voter rolls by other states ultimately found that only a small number of the thousands of noncitizens they initially flagged had actually voted. For years, researchers have found that voter fraud is rare and claims that noncitizens are voting in large numbers have not been substantiated.